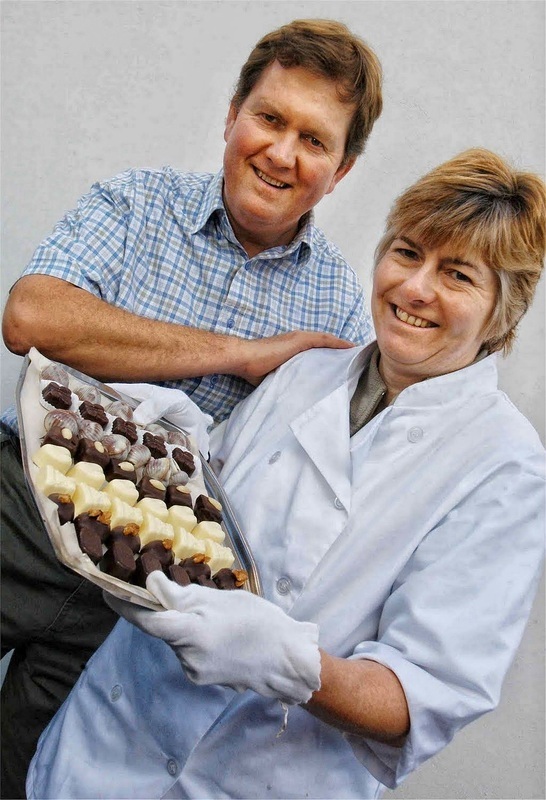 Nutcombe Chocolates is no longer in production - we have now sold and moved out of our workshop in Minehead. Unfortunately a potential buyer for the business (equipment and moulds, goodwill and domain name & web site) to be operated in new premises fell through so we have been forced to dispose of the equipment and fittings. It is the end of a era and when the dust has settled we will look back fondly at our adventures in Chocolate! We have enjoyed our journey through Farmers' Markets, wholesale and retail, food festivals and country shows, shopkeeping and cafe operating. But the time for a change was overdue in the end and we're looking forward to having more time to do other things - we are not retiring. We are still working with The Chocolate House in Dunster and may make a few chocolates there from time to time. We're going to leave the website here for the time being and when we have time we will upload some photos from our big pile of memories. If you wish to contact us you can use the phone number here. It is at our home (and ﻿﻿﻿holidays flats﻿﻿﻿), Rosanda House in Minehead. Please leave a message if we are unable to answer. Alternatively you can email us on enquiries@nutcombe-chocs.co.uk - this address will continue to be used for the time being. Thank you for visiting. We are a small family business based in Minehead, close to the beautiful Exmoor National Park. Using the best ingredients, starting with premium Belgian chocolate, we fashion a wide range of hand made chocolates, truffles and seasonal figures using a variety of chocolate making techniques. Please explore the site to find out more and we'd love to hear from you so please do get in touch!